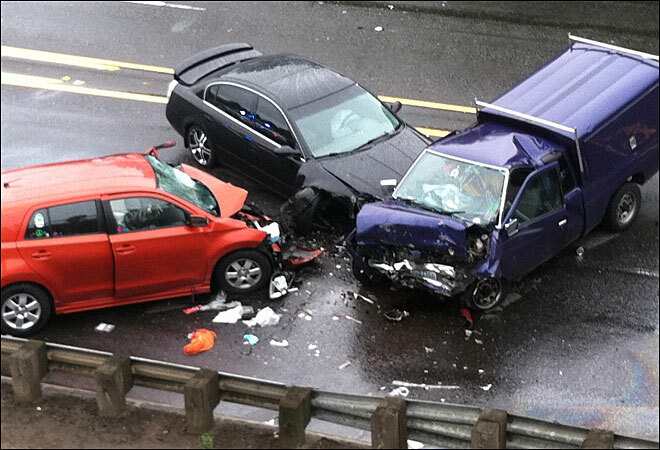 When you think of a car accident, you tend to only think of the physical injuries that come from one. You usually think about broken bones or tragic fatalities. But what about the emotional effects that come from experiencing that trauma? No matter how minor an accident, it can cause long-term effects such as anxiety and phobias about being in a car. In fact, at least one third of all people who are involved in a car accident end up with post-traumatic stress disorder, which can be present for a year after the accident, maybe even longer. Interestingly, most people who suffer these emotional effects were not driving the car when it crashed. This may be caused by the event happening unexpectedly, being unprepared for it and feeling powerless to prevent it. If you’ve been in an accident, you should be aware of the possible causes for long-term PTSD. The severity of the accident has an impact, as does any fatalities suffered, but so does a history of prior traumatic experiences and ongoing litigation. By taking the risk of ongoing litigation, you open yourself up to the opportunity to be compensated for the suffering you went through. Not only could you receive compensation for emotional suffering, but also for the treatment for any physical treatment you may have received.